CDC Becomes First U.S. Health Agency to Advise How to Reduce Cell Phone Radiation – Offers Bad Tip! According to Microwave News, the Centers for Disease Control and Prevention —CDC— has become the first U.S. health agency to call for precaution in the use of cell phones. Making them the first federal agency to acknowledge risk from cell phone radiation exposure! “Along with many organizations worldwide, we recommend caution in cell phone use,” the CDC states on its Web site’s FAQ About Cell Phones and Your Health. It follows up with a call for more research to answer the unresolved cancer question. The recommendation was posted on the CDC’s Web site on or before, June 9. 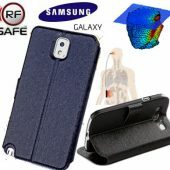 It passed mostly unnoticed until a few days ago when Joel Moskowitz, who writes a blog on Electromagnetic Radiation Safety, sent out a press release announcing the news. “I am pleased to see that the CDC, the lead public health action agency in the United States, is reassuming its leadership role by warning the public about this health risk,” he said in an interview with Microwave News. Moskowitz is the director of the Center for Family and Community Health at the University of California, Berkeley, School of Public Health. 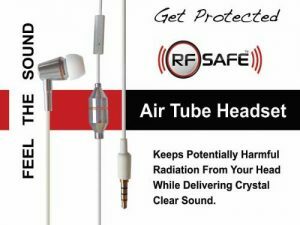 RF Safe’s founder, John Coates sees it as a step in the right direction for regulatory agencies, but fears misinforming people on how to reduce exposure may do more harm than good. Coates claims that the CDC’s very first so-called — cell phone radiation safety tip — hasn’t provided enough information to ensure the safety of cell phone users, and in fact could put cellphone users at greater risk from radiation exposure. 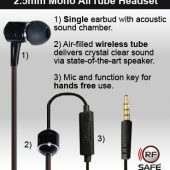 Coates says this is a bad tip on the grounds that it should say “Air-tube headset” — citing a report done by a UK consumer group named, Which. 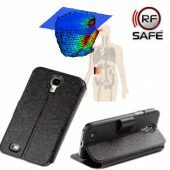 Their test suggest wired hands free headsets may subject a cellphone users brain to higher levels of radiation exposure when actual radiation exposure is measured in microwatts per square meter in-place of using industry accepted and highly controversial SAR testing. NOT JUST ANY HANDS FREE HEADSET WILL DO! Don’t be mislead by this common misconception carried on by the CDC that any hands free headset — (wired headset), like the headset that came with your cell phone is a safe alternative to placing a phone to your head. This is simply not true, ordinary headsets use a wire to deliver sound to an electronic earpiece that can deliver electromagnetic radiation into your head directly through your ear canal. 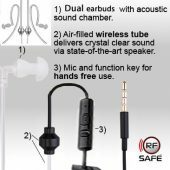 RF SAFE HEADSETS ARE THE BEST SOLUTION! 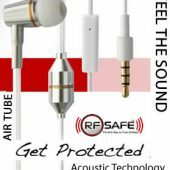 RF Safe’s patented Air-Tube Technology produces the world’s most durable, best sounding air tube headset on the market, so consumers can enjoy a live, on stage sound every-time a song is played through its acoustic sound chamber delivered through a sleek air tube design.